Here is the quagmire that Muslims have to constantly deal with which highlights a lot of the issues at stake. Yes, free speech is very important yet the law says the same, only excepting hate speech which incites hate against a certain group of people, and this time it happens to be Muslims. The evidence given in court this week was very clear and unshaken by the defense for Rogers, Mr. Porter who simply only reinforced and proved the case of the claimant by asking Dr. Habib questions such as "what are you doing about Osama Bin Laden?" and trying to associate and apply other stereotypes to any witnesses this week. What we've seen this week is a lot of propaganda against the BCHRT in an attempt to question its validity and accuse it and the government of being the "thought police" despite the fact that our hate crime laws are very clear what differentiates free speech from "hate" speech. One thing to note is that the people most adamant and insistent that this is "free speech" appear to be anti-Islamic and are simply swayed by their opinion that MacLean's and Mr. Steyn were not only right for publishing what they did, but that it is completely true in their opinion. This is unfortunate because it shows that it just takes a few articles of opinion in a mainstream magazine being passed off as fact, have the ability to sway and poison the mind of the reader by inspiring feelings of suspicion, fear and hate against Muslims. We fully agree with free speech and believe the current hate crime laws should be enforced and the government should keep the enacted laws to protect minority groups from harm. The writer whose work triggered a B.C. human rights complaint against Maclean's magazine said Friday he hopes he loses so the issue can be settled in a court of law that would restore Canadians' right to free speech. Members of the Canadian Islamic Congress complained to the Canadian, Ontario and B.C. human rights authorities after the Toronto-based magazine published an article titled "The Future Belongs to Islam" in October 2006. 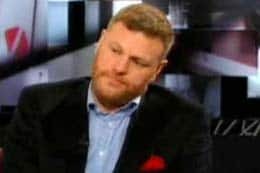 The article, excerpted from the book of the same name by Mark Steyn, talks about Islam being a threat to North American institutions and values. It used statistics to predict that higher birth rates plus immigration would lead to Muslims outnumbering followers of other faiths in Western Europe. The complainants, Mohamed Elmasry and Naiyer Habib, claimed the article violated the B.C. Human Rights Code by subjecting them to discrimination based on their religion and exposing them to hatred. Steyn said Friday a loss in the B.C. Human Rights Tribunal would allow the case to go to what he calls a "real court" and, if necessary, the Supreme Court of Canada, in order to uphold the right to freedom of speech. He said such rights are being taken away by agencies like the B.C. Human Rights Tribunal. Habib testified at the tribunal Thursday, saying that after the Sept. 11, 2001, airliner hijackings in the United States, discrimination against Muslims increased and Steyn's article only "adds fuel to that fire." The tribunal heard that various internet blogs that espouse killing and deporting Muslims cite the Maclean's article and have a link to the piece. "Maclean's has the audacity to say, 'Oh, we're not responsible and we didn't inflame hatred,' when it is a direct result of the inflammatory article by Mark Steyn," said Faisal Joseph, Habib's lawyer. However, Julian Porter, the lawyer for Maclean's, said the magazine cannot be blamed for what others choose to post on the internet.